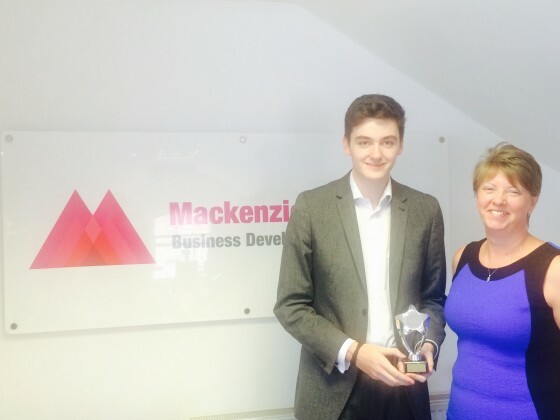 Josh Probert, of Wilmslow-based marketing consultancy Mackenzie Marketing, has won an Apprentice Academy Star Award. Having finished Sixth-Form at Wilmslow High School, Josh was keen to start a career in marketing and digital communication. He started working for Mackenzie Marketing in July last year as part of a year-long Digital Marketing Apprenticeship. His work based learning has been supplemented with classroom based learning at The Apprentice Academy in Manchester. As part of Josh’s Apprenticeship he has worked with a range of local clients, including Wilmslow High School; business travel management company, Review Travel; accountancy firm, Castletons Accountants; local Greek-Cypriot restaurant, the Stolen Lamb; as well as Wilmslow Business Group. Josh was presented with his award by Jim Clarke from The Apprentice Academy, which is one of the leading providers of apprenticeships in Greater Manchester. Internet marketing strategies – what are they? This short guide to internet marketing strategies should help you make the most of your social media, email databases and search engine optimisation. There’s plenty to get your head around, but if you implement it well then it can work wonders for raising the profile of your business and making sure customers can track you down when they search for the product/service you offer. Is social media the most important of the internet marketing strategies? It’s certainly an important one. It’s your shop front as well as your clients’ (and potential clients’) first point of contact with you. Using Twitter and Facebook alongside your other internet marketing strategies is a sure-fire way to win engagement if it’s done considerately. You may also want to consider the new kid on the block, Instagram, which particularly appeals to a younger demographic and is far more visual as it uses photos that have been tweaked to perfection. Should my internet marketing strategies include mass emailing? Mass emailing is sometimes seen as a nuisance. The key here is not only to make sure that it fits in comfortably with your internet marketing strategies but to ensure that the content you write is interesting and relevant for the audience you’re targeting. People won’t mind regular updates being sent to their email inboxes if they provide discussion on a topic that’s interesting to them or if it adds value (for example through discount offers, loyalty incentives or special events). Which key words will win for my firm’s internet marketing strategies aims? SEO (search engine optimisation) is another key weapon in the arsenal of your internet marketing strategies when it comes to making sure customers come to you. If you’re offering what they want, chances are they’ll be searching for it. You need to think about which words or phrases they would use. Make sure your website contains these and the search engines will do the rest. Social media plays its part here too – and if your content is engaging and creates a discussion then it is more likely to be shared by others who read it. The more times it’s shared, the further this will boost your chances. If you’re looking for marketing tips and advice on how to write engaging content for your blog or company website, your first port of call has to be a thorough research. Either know your topic inside-out or make sure you do before you start to write! Then, start at the beginning! As marketing tips go, this may seem straightforward enough, but all too often we see writers diving in head first as though the reader knows everything there is to know about what the article has set itself out to discuss. It’s always best to introduce the topic (even if only briefly) in order to provide some context and to make sure you’re following a ‘journey’ of some sort – whether that’s structured chronologically, numerically/alphabetically or even hierarchically. 2. It’s always a good idea to quote somebody knowledgeable in the industry you’re writing about too. For example, Catherine Mackenzie of Mackenzie Marketing advises: “When you’re writing your blog posts, it’s always important to get across your message succinctly and effectively.” Job done. 3. A statistic will always reinforce the point you’re trying to make, and we’re pleased to say that 100% of readers who’ve made it this far will have now noticed this most valuable of marketing tips! Well done! 4. Finally, anecdotes will add credibility and make a writer seem more personable to the reader. I bet you’ll be filled with envy to read that I’m enjoying a lovely chocolate-smothered biscuit with a steaming cup of coffee while I plan what I’m about to write next! Sorry about that, had to be done…! 5. Give it a sense of conclusion. Make sure you’ve succinctly finished whatever it is you wanted to get across, sum up your points if necessary and then provide links to further reading if appropriate. 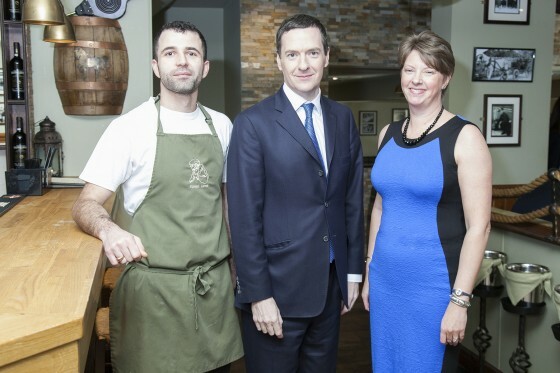 Mackenzie Marketing met George Osborne on 6th February 2015. Managing Director, Catherine Mackenzie and Digital Marketing Apprentice, Josh Probert were amongst twelve representatives of the Wilmslow Business Group that met the Chancellor of the Exchequer. The meeting took place over lunch at the Stolen Lamb restaurant on Grove Street, Wilmslow. Mr Osborne met the Business Group to understand their priorities and how he could support the Business Group in their work. He was also particularly interested to learn how the Wilmslow business community was finding the Apprenticeship scheme. Ms Mackenzie explained the Business Group’s priorities: “Over the last nine months we have really focused on developing an events programme for Wilmslow to encourage vibrancy and footfall into Wilmslow. Wilmslow Town Council match-funded our financial commitment to setting up an Events Team. “In September we ran a really successful Art Trail which enabled local professional artists to exhibit in shops, bars, coffee shops and churches around the town centre. It was highly successful and so we will be running the Trail again 5th-7th June 2015. We are holding our first ever Food & Drink Festival 16th – 21st March, which Castletons Accountants is sponsoring. During this week in March a range of restaurants will showcase their food and drink through a series of events, as well as providing discounts. Mr Osborne was keen to support the Business Group with their ideas; and asked that the Business Group kept him appraised of their work, so he could support them where appropriate. The other Business Group representatives were: Simon Carr, General Manager at Hoopers; Andrew Ford, Director of Castletons Accountants; Steve Kennedy, Owner of Mailboxes Etc in Wilmslow; Georgie Johnson, Wilmslow Business Group Events Manager; James Maguire, Director of James Maguire & Co Solicitors; James Pulle, Acting Headteacher, Wilmslow High School; Mark Royle, Director of Orbit Developments; Margaret Turner, Director of Turners Nursery; and A’dell Harper, Director of children’s nursery, The House of Rompa. Photo taken by Richard Weston of Weston Digital Imaging. Wilmslow based marketing consultancy, Mackenzie Marketing has secured a new client, Bridge Insurance Brokers. Bridge, which was established in 1970 and has offices in Manchester and London, is a leading independent corporate insurance broker. They work closely with their clients to find the best insurance policy to meet their needs, whether it be corporate, real estate or credit insurance. Bridge also has a number of specialist insurance schemes, including schemes for Post Offices, florists and headstones. Mackenzie Marketing is providing a fully outsourced marketing solution, which includes strategic marketing advice as well as full implementation of the marketing activities. 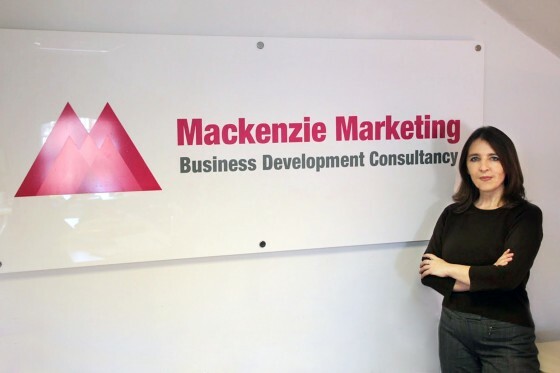 Mackenzie Marketing Account Manager, Bethan Phillips will be working closely with Bridge and will be supported by the team at Mackenzie Marketing’s Wilmslow office.